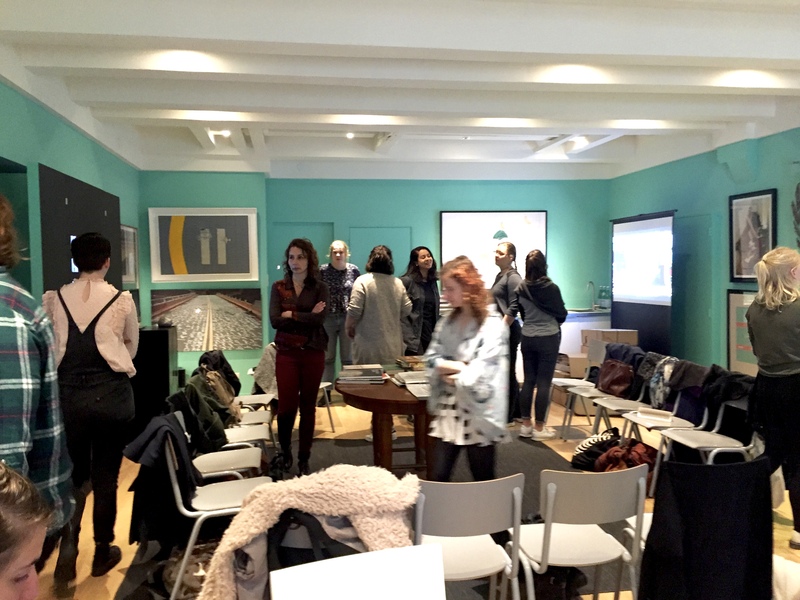 The 2nd of May 2017 brought ut a visit by art historian Clair Goedman with a large group of future art teachers being lectured by her at the Breitner Academy of Amsterdam’s University of Applied Sciences. In Dutch: Hogeschool van Amsterdam. They had been instructed before their visit reading materials on Modern Arab Art and Contemporary Art from the Middle-East, which gave me the opportunity to explain that the museum works with neither of these two concepts. To my mind ‘The Middle-East’ is someone else’s definition and a very vague one too. Saudi-Arabia, having custody over the two important mosques in the cities of Mecca and Medina, so central to the Islam influenced world, might better define itself as the centre of the world and exactly in between East and West. And South and North for that matter. Arabness naturally is important, but Saudi Arabia’s reach goes well beyond the Arab world and its population in the Hejaz, not unlike the people in Israel, includes many with an islamic heritage, but not necessarily an Arabic one after generations of religious immigrants from Asia, Africa and Europe.